Home - Benton's Plumbing Company, Inc. Serving: Simi Valley, Agoura, Moorpark, Thousand Oaks, Westlake Village, Newbury Park, and San Fernando Valley, Ventura County and Santa Barbara County. There’s no need to make multiple calls and set up different appointments for your plumbing repair projects. 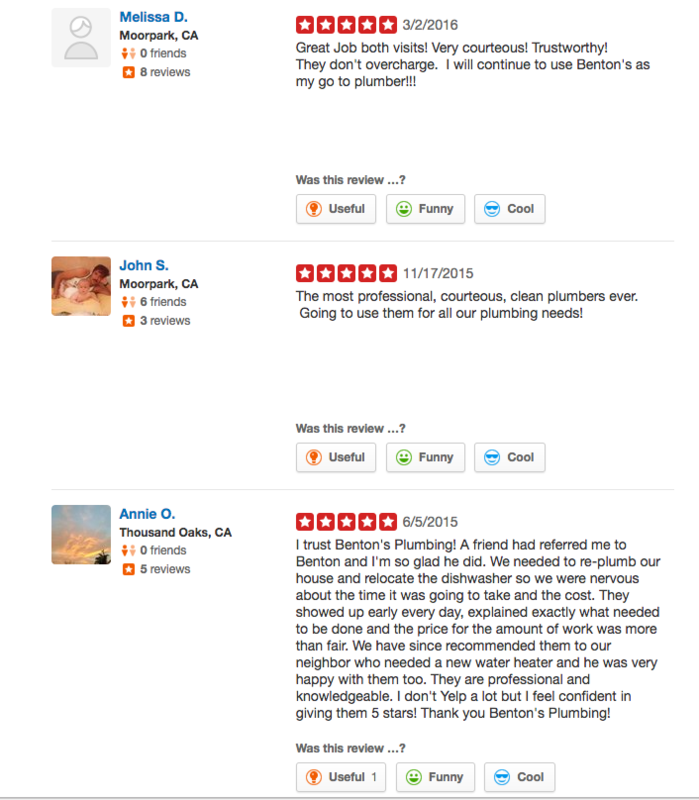 Call Benton’s Plumbing Company, make one convenient appointment, and we will take care of all your plumbing needs. 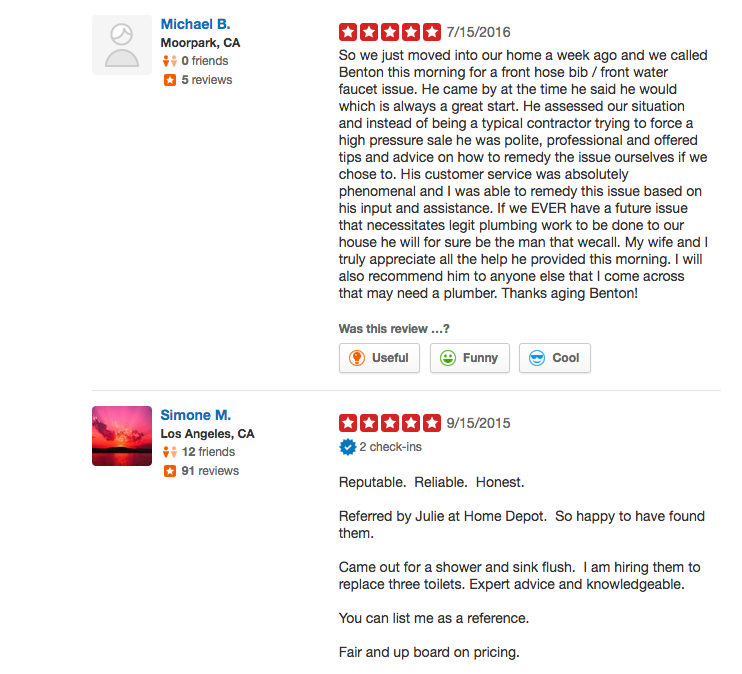 Check out a few of our 5 Star Reviews!